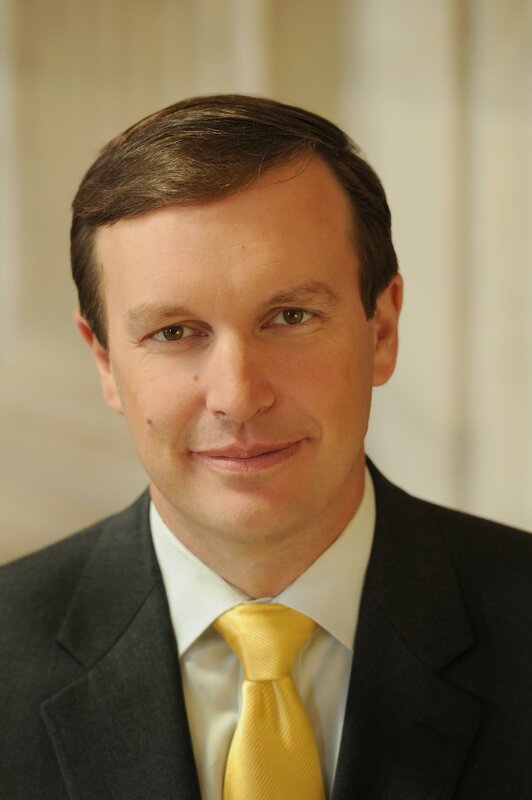 On December 17, 2016 US Senator Chris Murphy (CT) sent a letter to his constituents telling the behind-the-scenes activities of how he got the Mental Health Reform Act passed. We’ve copied his story here. It is a fascinating read. In January of 2015, I relayed a story to you that moved me – and many who read it – to tears. I was holding supermarket office hours in Stamford, Connecticut, and an older woman came running up to us in a panic. Her mentally ill (and developmentally disabled) grandson was having a violent breakdown in the backseat of her car, and she feared for his safety. The blood had drained from her face – you could tell she had been through this dozens of times before – and I rushed to the car with a police officer to try to settle the boy. The mother was in the backseat with him, desperately trying to calm him, looking just as panicked as the grandmother. As we gained control over the situation, the grandmother, exhausted, told me how this little boy’s illness has come to dominate every aspect of their extended family. They tried, over and over in vain, to find appropriate services for him, to no avail. Left alone, they were helpless, and scared. And most of all, furious – furious that there was nowhere to turn to get help for this child. I’ve been involved in mental health policy my entire legislative career. But that day, I decided I wasn’t just going to “work” on the issue any longer. I was going to lead. I committed myself to convincing my colleagues in the Senate that the status quo in our behavioral health system was unacceptable. It was time for big, comprehensive reform. This week, I stood behind the President as he signed into law the Mental Health Reform Act, the most comprehensive reform of our nation’s mental health laws in a generation. I spent two years writing the bill, building bipartisan support for it, and creating a national movement to get it passed. This is the behind-the-scenes, inside story of how it happened. As with my prior behind-the-scenes accounts (they keep coming because I get so much good feedback on them!) this one is long. A good 20 minute read. But I hope it will be worth your time. I have two initial tasks in the winter of 2015. The first is to start talking to tons of smart people in Connecticut about what was wrong with our behavioral health system and how we can change it. I ask two of the smartest people in the field – Hank Schwartz of Hartford’s Institute of Living, and Steve Larcen, the President of Natchaug Hospital – to come down to Washington and spend a full afternoon with me setting the table for the coming conversation. We conceive a series of roundtables and forums in every corner of Connecticut where patients, parents, doctors and social workers could tell their stories. My other task is to find a Republican Senator who will co-lead the effort and the bill with me. On a shuttle bus at the Baltimore airport that winter, I run into Andrew Sperling of the National Alliance on Mental Illness (NAMI), and I tell him about my desire to write a big, sweeping mental health reform bill. He tells me about a new Senator from Louisiana, Bill Cassidy, who he had watched during Cassidy’s time in the House of Representatives. Andrew recalls Cassidy coming to committee hearings on mental health with a worn, dog-eared copy of the book “Crazy” by former Washington Post writer Pete Earley. The book is Earley’s tragic story of his son’s descent into serious mental illness and, eventually, the criminal justice system. Earley makes the case for dramatic reform of the way we treat the mentally ill, and Sperling notes that if Cassidy cares so much about that book, maybe he would be a good partner. So a few weeks later, I approach the new Senator on the Senate floor, and pitch him on the idea of working together. His eyes light up immediately, and he agrees on the spot to beginning the process. The biggest decision we make early in 2015 is to not reinvent the wheel. Congressman Tim Murphy of Pennsylvania, a psychologist, had two years earlier introduced the Helping Families in Mental Health Crisis Act, a major set of reforms to mental health law largely directed at helping treat individuals who already had been diagnosed with serious mental illnesses like schizophrenia or bipolar disorder. There are a lot of controversial ideas in Murphy’s bill, including a requirement that states adopt laws to force seriously mentally ill people into outpatient treatment through court orders. But Tim has already gotten over a hundred Republicans and Democrats in the House to cosponsor his bill, so using it as a template, and selling our bill as the Senate companion to his, was to our benefit. The good news is that I already was friendly with Rep. Murphy. When we served together in the House, our gym lockers were next to each other, and every morning we would chat as we got ready for the day. 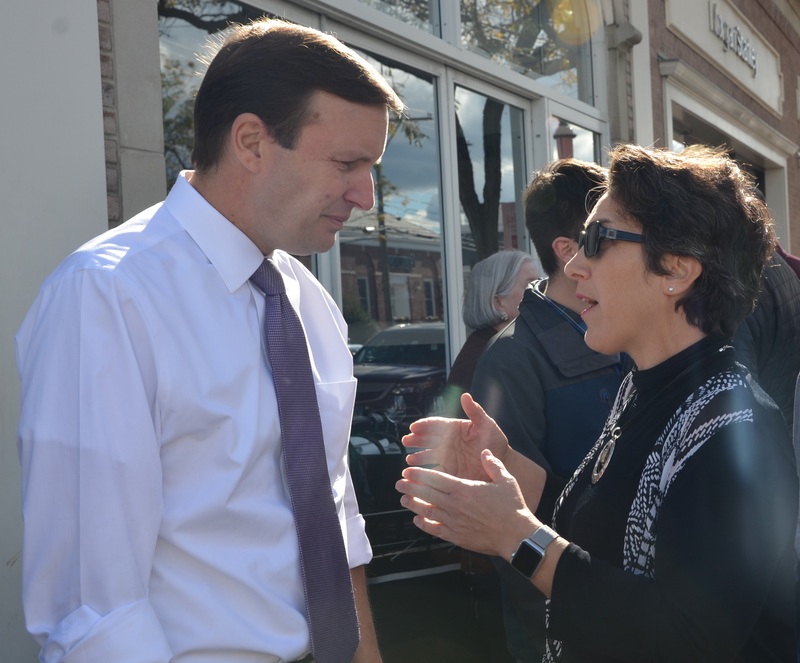 Murphy can be intense about the need to reform the mental health system, but he is happy to finally have Senators to work with, and Cassidy and I begin the process of working out a new version of Murphy’s bill to introduce in the Senate. In August of 2015, after holding dozens of roundtables and getting input from every stakeholder we could, we introduce our bill, entitled the Mental Health Reform Act of 2015. It is sweeping, and goes after all of the issues we had heard about from frustrated patients, caregivers, and family members. It expands access by increasing funding for outpatient care and inpatient care by billions of dollars. It requires insurance companies to stop discriminating against patients trying to access mental health care. It incentivizes states to bring together their physical health systems and their mental health systems. It clarifies privacy laws so that parents, like Pete Earley, could be more participatory in their adult children’s care. And the bill is bipartisan. One of the most important decisions we make is to only add co-sponsors to the bill in pairs – one Democratic Senator and one Republican Senator. We introduce the bill with me and Cassidy, along with Democrats Al Franken and Debbie Stabenow, and Republicans David Vitter and Susan Collins as the first cosponsors. At the press conference all the major mental health groups, who have been part of the drafting process, are in attendance. At the event we acknowledge the elephant in the room – the tragedy at Sandy Hook. Several of the families have been instrumental in drafting the bill. One section, which establishes funding for early intervention programs for children who display risk factors related to mental illness, is critical to the group of parents who had formed the Sandy Hook Promise organization. But I’m careful not to mix the issues of mental illness and gun violence. Why? Because the reality is that there is no inherent connection between mental illness and violence. And the story of the United States’ epidemic rates of gun homicide can’t be explained away by mental illness – other nations have similar rates of mental illness as the U.S. but only here do mentally ill people grab guns and start shooting. It’s a fine line – acknowledging though not overselling the connection – one that we struggle to walk for the next year and a half. Now we begin the work of building up support for the bill to get it passed into law. I have never gotten a bill of this size, on this controversial a topic, passed before. Neither has Cassidy. In fact, many members of Congress or Senators go their entire careers without getting something this substantial made into law. So these are uncharted waters for both of us. Cassidy and I continue doing events in our home states. I keep up the forums and roundtables, getting more and more good insight into how to improve the bill, eventually holding more than 30 overall. Bill is especially focused on creating connections with law enforcement in Louisiana, an important ally in the fight given the fact that jails and prisons have become our new de facto mental health institutions. In Washington, we hold meetings with the mental health advocacy groups, and urge them to get their members around the country to talk to their Senators about the bill and encourage them to sign on as cosponsors. We do joint media appearances, hold a mental health summit in Washington that is attended by hundreds, and vigorously lobby our colleagues, especially the Chairman and Democratic ranking member on the Health Committee, Lamar Alexander of Tennessee and Patty Murray of Washington. We have always expected that Tim Murphy’s bill in the House would move faster than ours since he had a two year head start. But as 2015 wears on, little progress is being made in the House. Tim, Bill, and I chat every now and again, and I keep reaching out to my Democratic friends in the House to push them toward compromise. But Tim Murphy is insisting on provisions in his bill and House Democrats have different ideas, so no common ground on the controversial parts of the House bill is being found. Tim has a special connection to this bill that he has conceived and nurtured – it’s hard for him to accept compromise. His passion is both his strength and his weakness. Murphy forces the bill through a subcommittee in the House, but it’s a bitter, lengthy debate and in the end, only one Democrat supports the bill. And in the Senate, we’re running into some trouble too. Chairman Alexander agrees to help redraft our bill into a form he and the Republicans on the committee can accept and then bring it for a “mark-up” in the committee (a committee meeting to amend and approve a bill). But our bill has a large section in it requiring insurance companies to approve mental illness treatments in a manner equal to the way they approve physical health treatments. What we have learned is that though insurance plans claim to cover mental illness, often they really don’t because when you try to get insurance approval for a residential program or an outpatient treatment regimen, the insurer just denies it as not medically necessary. Our bill would fix that, but it has the insurance companies (and thus some of their Republican allies on the Health Committee) up in arms. To compound our troubles, a competing mental health reform bill is introduced in the Senate by Texas Republican John Cornyn. His bill threatens to upset the delicate balance Cassidy and I are trying to strike between mental health reform and gun policy. Cornyn’s bill – large portions of which had originally been drafted and championed by Democratic Senator Al Franken – makes some really helpful changes to the way the criminal justice system treats mentally ill individuals, but it also makes changes to the gun background checks system to allow more people with serious illness to buy weapons. Cornyn’s bill is 90% positive – he’s a true, committed advocate for keeping the mentally ill out of prison and getting them in treatment – but the gun sections of his bill threaten to pull down the whole debate. And he’s sending signals, as we head into 2016, that if his background checks language doesn’t get in the final bill, he and the Republican leadership aren’t going to support it. In March, Chairman Alexander schedules the bill for the mark-up, even with the language over the insurance reform section unsettled. As the eve of the meeting arrives, we still haven’t gotten a compromise. Alexander’s language is too soft for me, and my language is too tough for Alexander. As the night wears on, the Senators go home and our staff – from my office, Alexander’s, Murray’s, and Cassidy’s – engage in shuttle diplomacy between Senators to try to find common ground. At 10 p.m., I get a call from my lead staff on the bill, Joe Dunn. He tells me that Alexander has a new and final offer. If we reject it, the bill will be dead. Joe reads the language to me word for word as I sit on the foot of our bed in our bedroom, and as I listen, I realize we have finally found the sweet spot. Alexander has bent just enough to make sure the language still holds the insurance companies’ feet to the fire. The mark-up goes forward, and with support from both Alexander and Murray, the bill passes the committee unanimously. For a committee that has such a diverse membership (Bernie Sanders on the left to Rand Paul on the right) this is a big step and it couldn’t have happened without the hard work and leadership of Senators Alexander and Murray. Meanwhile, in the House, Tim Murphy understands that he needs Democrats to support his bill if he wants it to move forward, and Democrats realize that compromise is possible. They begin to work toward a new bill that softens the edges on some of the most controversial sections, like the court ordered outpatient treatment section and the section giving parents the right to get information about their adult children’s care. In July, the House approves, in a huge bipartisan vote, a slimmed down version of Murphy’s original bill. The focus now clearly shifts to us in the Senate. In the Senate, the Cornyn bill is now proving to be a major roadblock. Every few weeks, I seek him out on the Senate floor and try to pitch him on a compromise. At one point, I bring him a copy of his bill, with the sections I objected to highlighted, just to give him a visual representation of how much of his bill I actually like compared to the small section on guns that I can’t live with. My filibuster, which happens in June, doesn’t help matters much. Though I never mix the issue of mental health and guns during my 15-hour marathon speech, the attention that it gets certainly doesn’t warm Republicans to me. But we keep talking. In July, Cornyn makes a new offer, dropping most – but not all – of the language on guns. He brings his offer to me and Cassidy in a huddle between the three of us on the Senate floor during a vote. I look at Cassidy and he knows what I’m going to say. I feel bad, because Cornyn does legitimately care about fixing our broken mental health system, and he made a big concession in dropping most of his language related to guns. I walk back to office feeling totally discouraged, thinking that this might be the end for the entire mental health bill. We spend the rest of summer ginning up the mental health advocacy groups to help us build cosponsors of the bill. Our hope is that if we can display broad bipartisan strength then maybe Cornyn will come back to the table. He’s the second ranking Republican – without him we can’t get the bill through the Senate. Our work pays off. By the fall, we’ve grown our “1 for 1” cosponsor list to 14 Republicans and 14 Democrats. Then, a breakthrough. In September, as everyone is distracted by the presidential campaign, Cornyn comes back to us with a creative solution. The core of his concern has to do with a process at the VA, where veterans who are found to be mentally incompetent to manage their own finances have a “fiduciary” appointed on their behalf. The main consequence of this process is that their VA benefits are managed by someone else, but they also end up losing the right to buy a gun. What he is really worried about, he says, is that there are veterans who truly aren’t mentally incompetent who have been badly served by the process and have had their rights taken away unjustly. Of course, I would be concerned if that was happening too. His team suggests that we codify an existing VA procedure to make sure that every veteran has access to medical and legal representation if they are going through a mental competency review process. This sounds very reasonable, and a creative way to get at Cornyn’s concern without having to amend any gun laws. Now, time is running out – Congress has recessed for the October campaign and our only hope is to get mental health reform on the very short list of bills that will be debated in the “lame duck” legislative session, the time between the election and the swearing in of the new Congress. Luckily, Tim Murphy has gotten House Speaker Paul Ryan jazzed about our bill, and Ryan is now proposing to add it to a bill called the 21st Century Cures Act, a major update of drug approval laws that is a priority for both caucuses. That means we’ve got to finalize Cornyn’s compromise language as quickly as possible, but the Veterans Administration is taking a very long time giving us technical feedback. Mark Barden, whose son was killed in Sandy Hook and who has been a major backer of the bill, heads over to the White House to try to convince them to intervene. It’s hard to say no to Mark, because of who he is and because of the cause he represents, and I’m so glad to have him on our team. Our bill gets attached to the Cures Act, along with $1 billion in funding for treating the nation’s heroin epidemic and close to $5 billion for biomedical research, including $1.8 billion for Vice President Biden’s Cancer Moonshot initiative. It’s an enormous package, and after passage in the House by a wide margin, it’s heading to the Senate. But there’s one more – very big – trouble spot. Elizabeth Warren and I are close pals. We came into the Senate together in 2013, we care about the same things, and we tend to both be on the same side of pushing our Democratic caucus to fight a little harder and louder for our progressive beliefs. Thus, I’m worried when I get a call from her on Saturday night as I’m in the car with my wife and kids, telling me that she is going to oppose the new, consolidated Cures Act (which now has my mental health bill attached) because she believes the drug approval reforms are way too generous to the drug industry. She walks me through her concerns, and she has a case. One provision seems particularly egregious – it would exempt from the current disclosure laws the fees that drug companies give to doctors for trips. That’s a really bad idea, and I’m starting to worry about whether the big bill can get to the finish line. In the Senate, you need 60 votes for anything to pass, and that means we need Democratic support. As we all head back to Washington for the lame duck session in December, once again the Mental Health Reform Act is on a knife’s edge. Clearly, this drug industry disclosure provision has to come out of the bill. And miraculously, it does, because of Senator Patty Murray’s dogged negotiating skills. Off the Senate floor on Tuesday morning, I huddle with Senator Murray as she waits for a call from the House Republican leaders about the bill. She ducks into a phone booth (yes, there are still mid-century original phone booths off the Senate floor) to take the call, and she emerges to announce that, thanks in part to Elizabeth’s pressure, she was able to secure the agreement to take this section out of the bill. Conveniently, this happens just as the Senate Democrats are convening for our first party caucus lunch of the month. Inside our lunch room, (which was at one time Senate Majority Leader Lyndon Johnson’s Capitol office) I get up and passionately argue for the bill, explaining to my colleagues the difference the Mental Health Reform Act would make. It helps that I can explain that one of the most harmful provisions of the bill has been eliminated. A number of other Senators stand up to support the bill, and while Elizabeth and a few others remain opposed, as I walk out of the lunch I’m convinced we will prevail with that final change. On the following Monday night, the key vote, called the cloture vote, comes before the Senate. This is the vote that requires 60 to pass, and I get a call that Murray is stuck on an airport tarmac in Seattle and won’t make it for the final debate. Her staff asks me to make the final argument on the Senate floor for the Cures Act, which now includes the Mental Health Reform Act. I feel so proud as I explain to my colleagues that apart from changing the lives of millions of mentally ill people, this bill also gives the whole country hope that Democrats and Republicans can, every once in awhile, put politics aside and do something really, really good for the whole country. That night, the procedural vote passes 85-13, and a couple of days later, the margin on final passage of the bill is even bigger, 94-5. Wow. The Mental Health Reform Act is the most important piece of legislation that I’ve ever authored and passed. And I’ve been a part of some pretty big ones. And Pete is right on both fronts. The bill will save lives. But it is also just the beginning. The bill won’t come close to solving all the problems in our mental health system. There is so much work to do. But with this bill, we’ve proven that in just two short years, good policy can triumph over politics and the inertia of the status quo. Who knows what we can do next.